The legendary guitarist and singer has announced dates for his 2018 UK tour. It has been announced that guitar hero George Benson will be making another return trip to the United Kingdom next year, as he is set to perform 9 dates across the country next June including two dates at London’s Royal Albert Hall. Benson is a ten time Grammy Award winner, having achieved 14 UK Top 40 hits and six UK Top 10 albums in his five decade career. Benson first started out as a talented jazz guitarist, releasing albums with the George Benson Quartet and as a solo act, including Bad Benson and The Other Side of Abbey Road. He would have remained as an accomplished jazz musician, but in 1976 he released the groundbreaking album Breezin’ which really brought the contemporary and smooth jazz genres to a wider audience. The album not only contained the exhilarating instrumental title-track, it also featured the seven-minute musical masterpiece ‘This Masquerade‘ which showcased Benson’s smooth, soulful voice for the first time. The success of Breezin’ saw Benson shift from guitar player to singer, and would move more into soul, R&B and pop with his next releases. His Weekend in LA album featured a brilliant live version of ‘The Greatest Love of All‘, a song he recorded for a film about Muhammed Ali, and a ten minute stomping version of ‘On Broadway’. He then teamed up with Quincy Jones to create classic hits such as ‘Love X Love’ and ‘Give Me The Night’. With the success of his songs and albums with his vocals taking centre stage, Benson recorded more without the use of his guitar and more with his voice, yielding soul hits such as ‘Turn Your Love Around‘, ‘Never Give Up On A Good Thing‘ and ‘Lady Love Me (One More Time)‘, as well as recording ballads such as ‘In Your Eyes‘ and ‘Nothing’s Gonna Change My Love For You‘. He also became an in demand duetting partner, singing with the likes of Aretha Franklin and Roberta Flack. 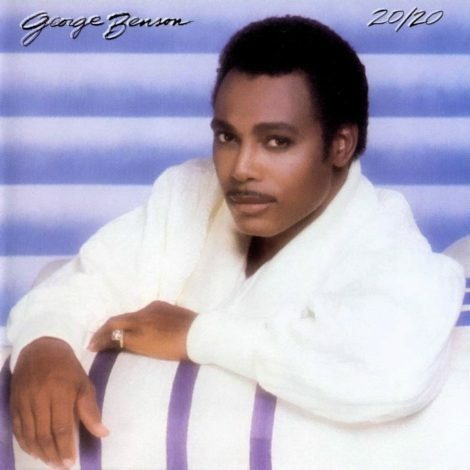 George Benson’s smooth soul album 20/20. More recently, Benson has recorded some great albums, including a Grammy Award winning collaboration with Al Jarreau,the R&B orientated Songs & Stories; a return to his jazz roots with Guitar Man, and a great tribute to his idol Nat “King” Cole. Benson has also kept an active touring schedule: his last UK tour was back in 2016 (check out our review of the London show here) and has just completed a North America tour with saxophonist Kenny G. He has also recorded a version of ‘You’ll Be In My Heart’ to the forthcoming release of Jazz Loves Disney 2: My Kind Of Magic album. Tickets for George Benson’s 2018 UK tour go on sale Friday 27 October.